Brake Repair in Parker, CO - Parker Automotive Inc. In the vast majority of modern vehicles, the braking system will have the same basic format - disk brakes at the front and a choice of disk or drum brakes at the rear. These are interconnected with pipes that connect each individual brake to the vehicle's master cylinder. Pushing on the brake pedal causes a plunger to be depressed in the master cylinder which in turn forces brake fluid through the pipes to brake located on each of the vehicle's wheels. Brake fluid is hydraulic oil which cannot be compressed and so it is almost like forcing a solid bar through the pipes, although it is of course flexible enough to follow the many twists and bends! It is very important that your brake fluid is clean and totally free from air pockets. Air can be compressed so if air gets into the brakes you will feel a sponginess in the pedal and your brakes can be compromised. When this happens, the pipes must be 'bled' to remove the air. 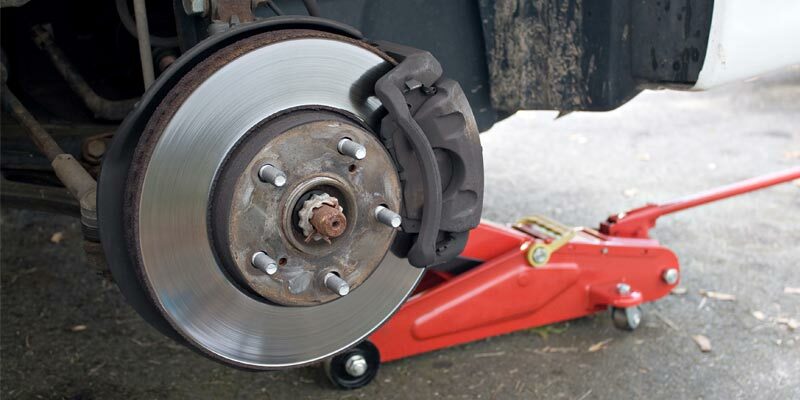 With a standard disk brake, when the pedal is pushed and the brake fluid travels to the brakes as described above, the fluid is pushed into the caliper. This then presses on the piston which in turn pushes a pair of brake pads against the disk. This hampers rotation which causes the wheel to slow down and eventually stop completely.